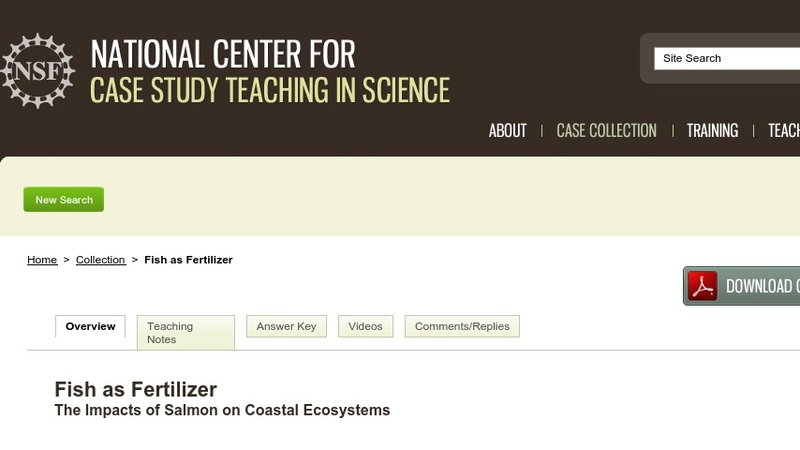 In this case study, students examine data from a number of published studies of the effects of Pacific salmon on freshwater and riparian ecosystems. The case focuses on the interesting phenomenon of spawning salmon acting as nutrient conveyor belts, transporting nutrients from the ocean upstream into freshwater spawning areas and, in some cases, even onto land, reversing the more-typical downstream movement of nutrients. As students work at analyzing and interpreting graphical data, they will also increase their understanding of the principles of biogeochemical cycling and gain an appreciation for the interconnectedness of different types of ecosystems. The topic is appropriate for any course covering ecosystem ecology including, for example, general ecology, freshwater or marine ecology, and environmental science.